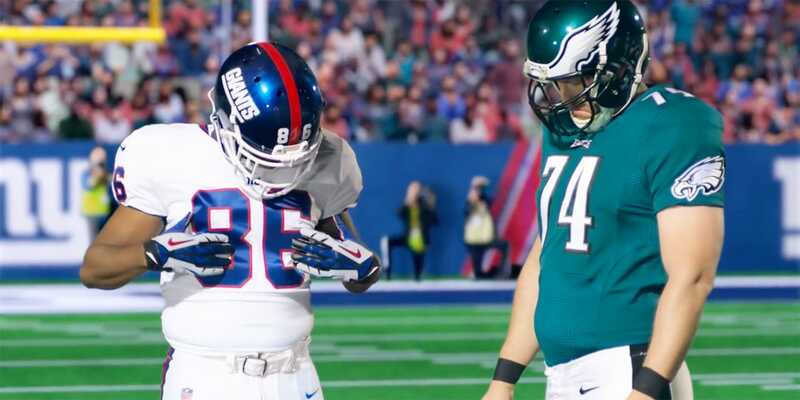 Eight months after invading the Super Bowl, P&G brought back its memetastic hit campaign, “It’s a Tide Ad,” for Thursday night’s matchup between the New York Giants and the Philadelphia Eagles. This time around, Fox network commentators Joe Buck and Troy Aikman anchored the meta ads from Saatchi & Saatchi New York, which also made referees, sideline officials and both teams part of the laundry detergent’s recurring gag. Though the faces were different—no David Harbour, save for a quick appearance on Twitter—Thursday’s night’s revival did bring back a hallmark of Tide advertising in the past two Super Bowls: embedding their ads so deeply in the game, it’s hard to tell where reality ends and Tide ads begin. And for “Clean Call,” a referee on the field calls “intentional cleanliness” on two spotless players, also singling out “chain gang” and “oversized microphone guy” on the sidelines, along with a spotless Giants’ kicker. The Thursday Night Football appearance is just the beginning, she said, though neither the brand or the agency would give details on when or where “It’s a Tide Ad” will appear in the future. The element of surprise, after all, is key to the humor. The original version of “It’s a Tide Ad” won coveted Black Pencil at this year’s D&AD Awards, a Grand Prix in the film category at the Cannes Lions and also took home a Titanium Lion recognizing work that advances and expands the creative industry. Cannes judges called it a clever, perfectly executed idea that put a refreshing spin on a traditional TV media buy. In the original Super Bowl takeover, Stranger Things actor David Harbour popped up in several intentionally cheesy, fourth-wall-breaking spots, basically hijacking much of the game. The response was immediate, with “It’s a Tide Ad” becoming a Twitter trending topic, a fan favorite and a social media darling. It was Adweek’s top choice and runaway winner for our 5 Best Ads of Super Bowl LII. Bringing it back was just a matter of timing, Krehbiel said. “The insight didn’t go away,” she said. “People forget how much they appreciate clean clothes until they don’t have them.” And the message, which increased sales, brand affinity and other key metrics, has become a mantra in a category that’s not usually top of mind with consumers. On Twitter, viewers were split on whether the revived Tide ads lived up to the originals. “Talk about a campaign going downhill,” noted Adweek’s own creative editor, David Griner. “These #TideAd spots are a good concept, but poor execution,” noted another viewer. “Swing and a miss,” wrote another. I swear to god one more #TideAd and I’m turning this off.